Each summer the peaceful town of Henley Upon Thames comes alive with the vibrant sights and sounds of the Henley Royal Regatta, as the great and the good from all corners of society, come together for this wonderful celebration of rowing on the River Thames. Henley Regatta hospitality packages are the ultimate way to enjoy all the festivities at Henley on this quintessentially British sporting occasion, allowing Henley hospitality guests to relax in the sunshine and enjoy the complimentary drinks, ﬁne dining and ﬁrst class rowing taking place on the river. Cornucopia Events™ has a superb offering of Henley Regatta hospitality packages with which to entertain corporate and VIP guests alike. Since 1838 crowds have ﬂocked to Henley Upon Thames to enjoy the unique atmosphere of this increasingly popular social occasion. 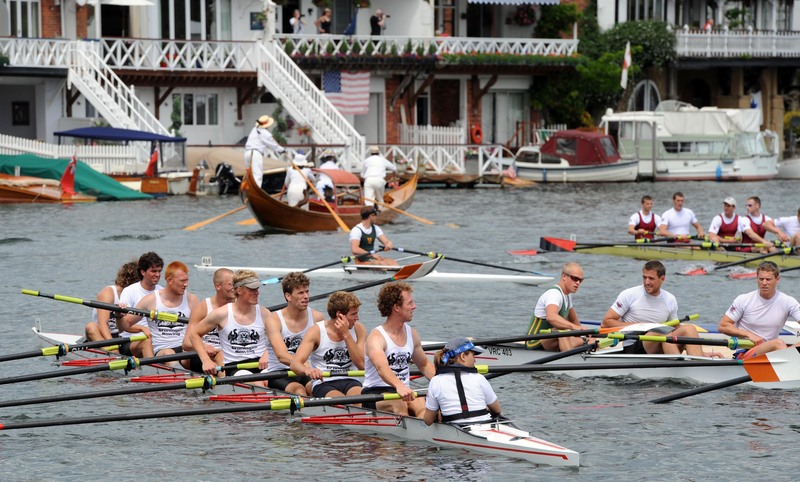 Hospitality guests come from far and wide to have the chance to see Olympic rowers in action over the 100 ﬁrst class races during the Henley Regatta. Henley Regatta hospitality guests can enjoy a cruise on the river with their guests in the glorious summer sunshine or enjoy a Pimms while relaxing to the sounds of the jazz band on the river banks at this quintessentially British event, courtesy of Cornucopia Events exquisite Henley Royal Regatta packages. All this is combined with the relaxed, ambient atmosphere and sense of occasion that goes hand-in-hand with our reﬁned Henley Regatta hospitality will ensure you enjoy a memorable day with your guests. 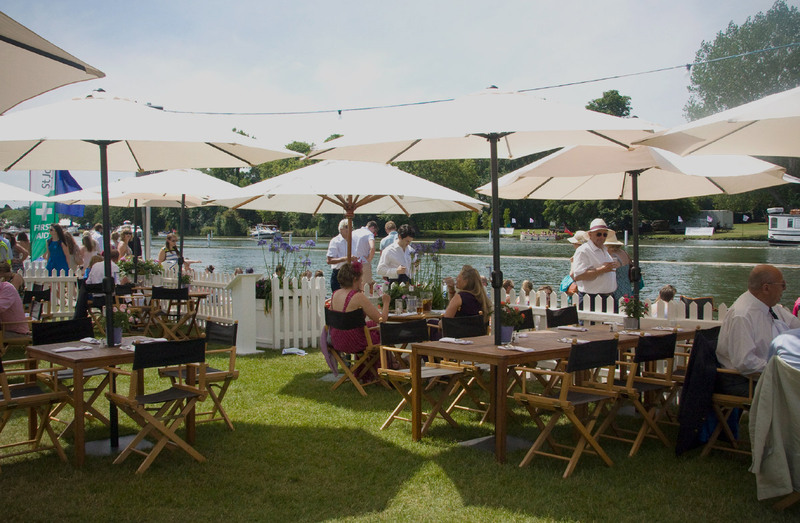 The luxuriously appointed facilities offer exquisite surroundings and superb viewing for this Festival of rowing opposite Temple Island with private garden areas on the riverbank. Private tables are available for 10 guests with smaller groups being accommodated on a shared basis. Private Suites are available for 30-50 guests. All prices are per person and subject to VAT.